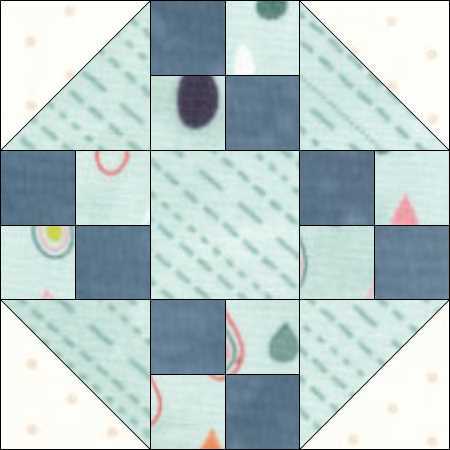 I found this block in Electric Quilt and it struck me as an ideal one to feature in the Simple Blocks series as it combines the Half-Square Triangle units we have been concentrating on lately and the 4-patch unit we looked at early on in the series. 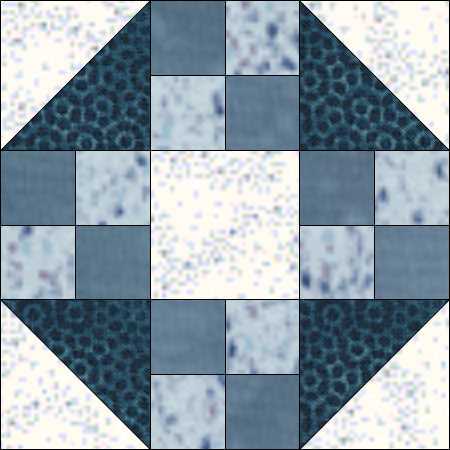 I have, of course, coloured it with blues; you can choose whatever colour(s) takes your fancy! It looks quite different if you change the dark blue and the background over . . . 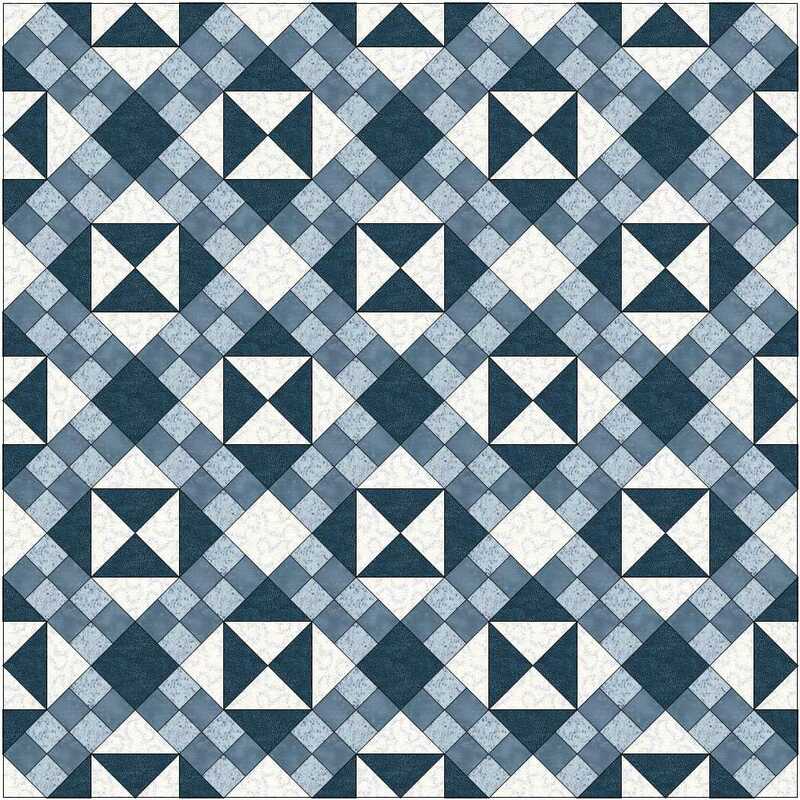 Putting the block into a quilt with just the one colourway doesn’t look too interesting, but combining the coloursways livens it up quite a lot. 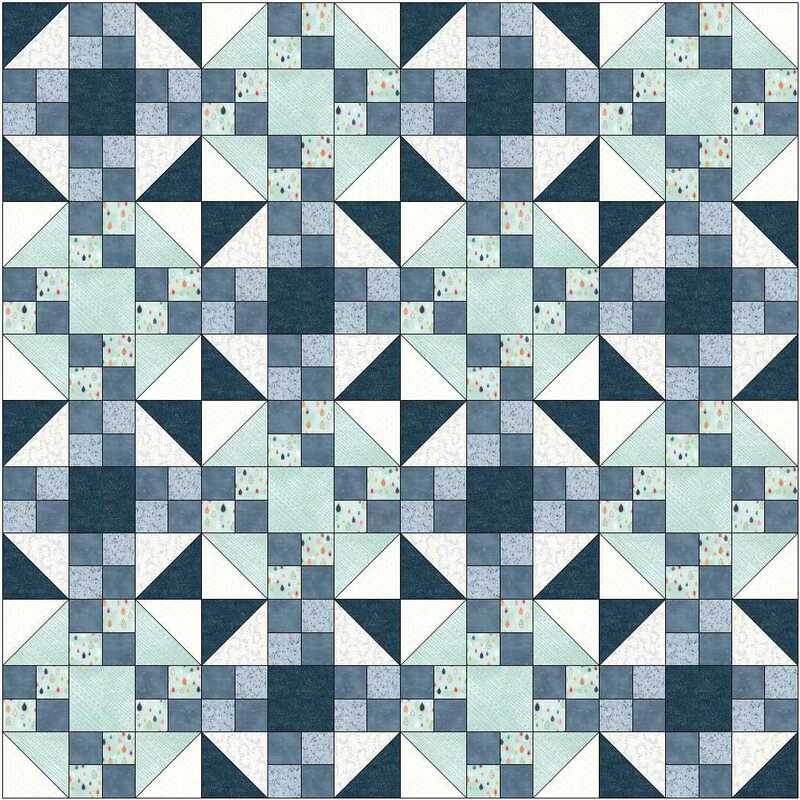 You can find further setting ideas for quilts as well as the instructions to make the block in the free download here. 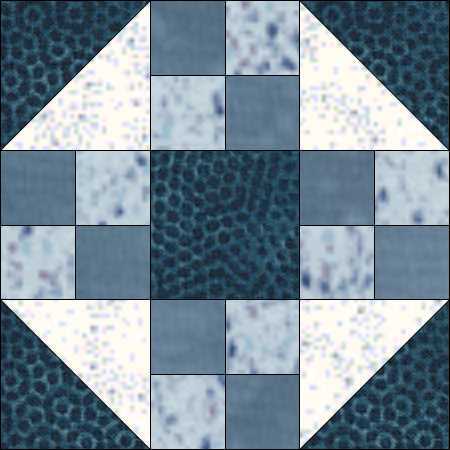 This entry was posted in beginners patchwork, Electric Quilt, free pattern, machine piecing, patchwork patterns and tagged beginners' patchwork, free pattern, nine-patch block, quilt blocks, simple patchwork on January 26, 2015 by Chris.